A year after the introduction of the new BMW F750GS and F850GS models and BMW has revealed the more off-road focussed F850GS Adventure version which aims to be more capable at longer distance riding. 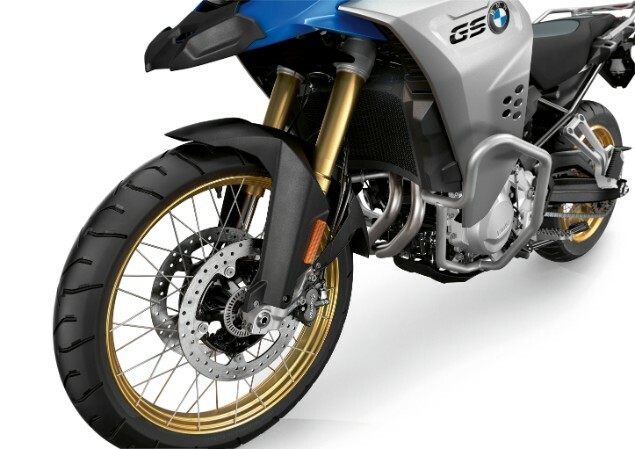 BMW has pretty much stuck to the year gap between the launch of the base bike and then the Adventure models as this allows the development of the bike to be slightly staggered. 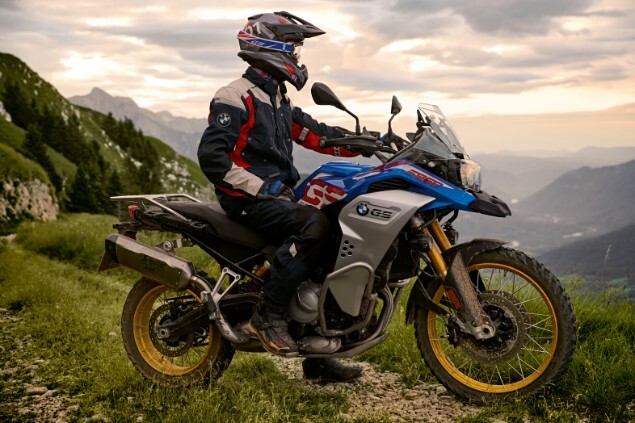 The new BMW F850GS Adventure is replacing the old F800GS Adventure in a class that is becoming ever more crowded and competitive with rivals such as the Triumph Tiger 800, Ducati Multistrada 950, Honda Africa Twin, Suzuki V-Strom and the new KTM 790 Adventure. The F850GS Adventure shares the same 853cc twin-cylinder engine introduced last year in the F850GS with no changes. This means the peak power of 95hp at 8250rpm and maximum torque of 92Nm at 6250rpm remain the same. This new engine has been completely developed when compared to the old 798cc engine used in the F800GS predecessor. In order to give the engine a bit more character than the old engine in terms of the way it delivers power, BMW has changed it so it has a crankshaft with a 90 degree journal offset and 270/450 degree ignition spacing. Not only is this engine firing configuration smoother but if makes for a much more interesting ‘feel’ from the engine and sounds better too. Like the bigger R1200GS model’s recent switch, the F850GS range now has the secondary drive on the left side and the exhaust on the right in order to reduce the chance of the rider burning themselves while pushing the bike. Changes over the standard F850GS include a larger 23-litre fuel tank which gives a substantially increased fuel range along with a larger windscreen for added protection. In keeping with the rest of the BMW modern range of bikes, there are a host of standard and optional electronic rider aids on offer. 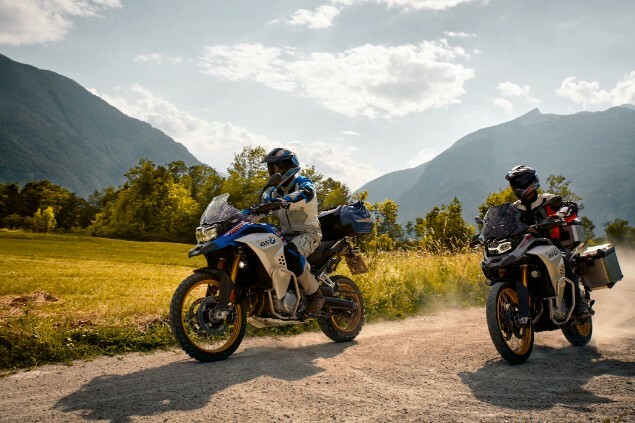 There are two standard riding modes available on the F850GS Adventure with Rain and Road with both ABS and traction control fitted on all bikes. 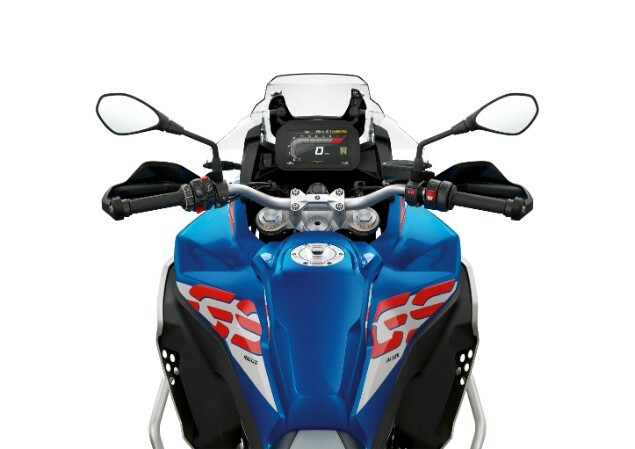 Once an optional extra coding plug is installed, the F850GS Adventure also had the choice of Pro riding modes including Dynamic and Enduro Pro. This coding plug adds the Dynamic Traction Control and a dynamic brake light which strobes when emergency braking is detected by the bike. Enduro Pro is a riding mode that has been specifically designed to help the rider in off-road riding conditions and can be customised by the rider to suit their own riding preferences. An optional quickshifter can also be ordered and means there’s no need to use the clutch on up or down gearchanges. The chassis of the F850GS Adventure is a new design using a steel bridge frame and has lead to the moving of the fuel tank from the previous location under the seat to the more usual location on top of the engine. The subframe is bolted onto the main frame section which means it can be replaced if damaged in a big off-road crash. This is the same for the pillion footrests which can now be removed while riding off-road to prevent any damage to the subframe in a crash. The suspension has been built to work off-road and the front suspension forks offer 230mm of spring travel with the fork stanchions protected by plastic covers. At the back is a shock with 215mm of travel. An optional extra is the Dynamic Electronic Suspension Adjustment (Dynamic ESA) which works to adjust the damping of the rear spring automatically within the chosen riding mode selected at the time. Spoked wheels are standard on the F850GS Adventure as they offer the greatest strength for off-road riding with a 21in front wheel and a 17in rear. The standard tyres are mixed terrain road enduro rubber but tyres more suited (but still road legal) can be ordered as a no-cost option. BMW is introducing new Thin Film Transistor (TFT) dashboard screens as it revamps and introduces new models and the F850GS Adventure is now available with this 6.5in screen as standard. The screen works to relay all of the information you would expect like speed, revs, trip computer, fuel level and many other bits of bike information. It also allows the rider to make and receive phonecalls, listen to music and also use a simple roadbook style navigation system that works via a Bluetooth smartphone link and a dedicated BMW Connected phone app and a Bluetooth linked helmet. Available as an optional extra is the Intelligent Emergency Call function which can either be manually operated to call for assistance or automatically contacts a BMW call centre in the event the bike detects an accident has occurred to summon help.